Will Turkey Shield the Saudi Crown Prince from Khashoggi’s Murder? As Saudi Confirms Khashoggi’s Murder, Will We Stop Its Murder in Yemen? Will the Disappearance of Journalist Jamal Khashoggi Bring Down the US-Saudi Alliance? Is the U.S. Complicit in Saudi Journalist’s Disappearance? We are just learning that Saudi Arabia will admit that it had something to do with the murder of journalist Jamal Khashoggi, and that he was killed in a botched up interrogation. Apparently, the plan was to interrogate and then abduct him from Turkey. CNN is reporting that the Saudis claim that the operation took place without clearance and transparency, and that those involved will be held responsible. Well, who is responsible? This was a rather quick investigation on the part of the Saudi investigative team that arrived in Istanbul only on the weekend. How did they so quickly come to such a conclusion? It appears that Saudis want this dealt with quickly, perhaps a part of their damage control plan. This is now an opportunity for us here at The Real News to look further into Jamal Khashoggi. Who is he, who does he represent, why was he murdered? Our next guest writes: “It’s been odd to read about Khashoggi in Western media. 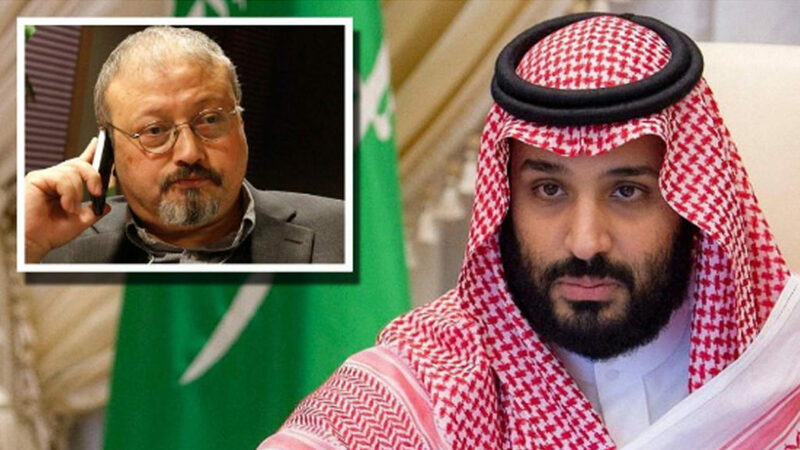 David Hirst in The Guardian claimed Khashoggi merely cared about absolutes such as ‘truth, democracy, and freedom.’ Human Rights Watch’s director described him as representing ‘outspoken and critical journalism.’ ” With me is As’ad AbuKhalil. He’s a professor of political science at California State University. He’s the author of Bin Laden, Islam & America’s New “War on Terrorism” and The Battle for Saudi Arabia. He also runs a popular blog, titled The Angry Arab News Service. As’ad, good to have you with us. AS’AD ABUKHALIL: Thank you for inviting me. SHARMINI PERIES: All right, As’ad. Let’s start off with you telling us about Jamal Khashoggi, and what he stood for as far as journalism and ethics of journalism is concerned. AS’AD ABUKHALIL: Well, I mean, he’s close to my age, so his name has been familiar to me since my early youthful days back in Lebanon. And in our progressive left-wing Marxist circles, he was always a symbol of reactionary advocacy on behalf of the Saudi regime and militant Salafi Islam. That’s what he stood for. The picture that is being painted in mainstream Western media is totally unrecognizable for anybody who bothers to read Arabic. Unfortunately, all the people who are commenting about the issue and commenting even about his record of journalism, so to speak, are people who have never read anything except in the Washington Post. You cannot judge this man’s entire decades-long career of journalism by reading the English-language, edited articles he posted for the last year only. For much of his life, for the whole of his life mind this last year, this man was a passionate, enthusiastic, unabashed advocate of Saudi despotism. He started his career by joining bin Laden and being a comrade of bin Laden. There are pictures of him with weapons. He fought alongside the fanatic mujahideen, who were supported by the United States in Saudi Arabia and Pakistan among others, against the communist, progressive side in that war. And he was unrelenting in his advocacy on their behalf, as well as for his praise for bin Laden. He got to be pretty close to bin Laden. That’s not being mentioned in the media as well. He only broke with bin Laden in the mid 1990s, what a coincidence. It was around the same time that the Saudi government broke with bin Laden. That tells you that he has been very consistently an advocate and loyal servant of the Saudi propaganda apparatus. Because when people say that he always cared about journalism, what journalism? There is no journalism under the Saudi regime. There’s only propaganda, crude and vulgar propaganda. And he excelled in the art of Saudi propaganda. He moved from one job to the other, and he was very ambitious early on. And he attached himself to various princes, because that’s how it works in Saudi Arabia. He was close to Prince Turki al-Faisal, who was chief of foreign intelligence and the sponsor patron of bin Laden and the fanatical Islamists around the world. And he also was loyal to his brother, Prince Khalid al-Faisal, who owned Al Watan newspaper where he held his first editing job in that paper. In a recent interview he did only last year with a Turkey-based television station, in Arabic of course, he spoke about how his role was not only as an editor, but he was a censor. He was enforcer of the rigid dogmas of the Saudi government in the paper. And when people wrote he got trouble doing his job, it wasn’t for anything he wrote. He never wrote a word, never spoke a word against the wishes of the Saudi government. He got in trouble because some people in the paper were courageous, unlike him, and dared to challenge the orthodoxy of the government. That was the career of Jamal Khashoggi. I also should say that for many years he continued, and he became a spokesperson for Prince Turki when he became ambassador in Washington, DC. And he got to be close to Western journalists because he was the man to go to. When they wanted to travel to Saudi Arabia, they wanted to interview this prince, that king, the crown prince, he was the fixer for them in that regard and that’s how they got to know him. And then, he attached himself to another prince, Prince Al-Waleed bin Talal, who got in trouble with the new crown prince. That’s where his troubles started. He did not bet on democracy in Saudi Arabia, he bet on the wrong princes. There princes he bet on fell out of favor, Prince Turki, as well as Prince Al-Waleed, later who wound up in Ritz in Riyadh last year. And for that reason, he had no prince. According to his own testimony, in an article that was written by David Ignatius who was close to him, he tried to be an advisor to Crown Prince Mohammed bin Salman, but he wouldn’t take him as an advisor because he always was suspicious about his Islamist past, the fact that he was a member and later close to the Muslim Brotherhood. So, he became – spoke the language of democracy upon leaving the country. The reason why they wanted to go after him, it had nothing do with his courage or anything like that. It’s because he was so central in the ruling media and political establishment, that his departure from the kingdom was not seen as dissent. He was not a dissenter, he was not a dissident. He never saw himself as one, or even an opposition figure. He spoke of himself as somebody who believed that the crown prince was doing the right thing but going about it the wrong way. I basically believe that he was seen by the government as a defector, that one of their own left the country and joined the enemies rank. And he was also having an audience with Western audiences from Washington DC, from one of the major mainstream newspapers. That was highly embarrassing to the ruling family. In Arabic, I should mention, even in the last year on Twitter, he spoke a very different tone than what he wrote in The Washington Post. In Arabic, he spoke passionately about Palestine. Notice, he never spoke about Palestine in English, never spoke about that. In Arabic, he said, “We all are Trump” when Trump ordered the bombing of Syria. He never spoke like that in the Washington Post. So, he was an agreeable token writing for The Washington Post who never challenged the Western media and their coverage of the Middle East. And for that, he was quite agreeable to them. He never spoke about the Palestinians. I bet you, if he was advocating for the Palestinians or for the Islamist line that he called for in Arabic, he wouldn’t have lasted in his gig in The Washington Post. SHARMINI PERIES: All right, As’ad. Tell us a little bit more about what you just said, which was that he backed the wrong prince. Why did he find himself on the wrong side of this prince, and some detail as to what the divide is? AS’AD ABUKHALIL: That’s a very good question. And the thing is that the government of Saudi Arabia has changed in the last two years in a major way. For much of the history, since 1953 and the death of the founder, Saudi Arabia, even though it’s a despotic monarchy, is ruled by a collective leadership like the Politburo of the former Soviet Union. You have the royal family, and then you have the senior princes. Those are the ones with whom the king would consult on every matter. For that reason, as sinister and reactionary as Saudi policy was all these decades, but it was a result of a consensus within the royal family. For that, it exhibited signs of caution, reservation and deception always, because they were doing something in secrecy, and in public they were saying something entirely opposite. Under the Crown Prince Mohammad bin Salman, government has changed. There is no collective leadership. For the first time in the history of the monarchy, we have a sole, undisputed despot who does not allow not only dissent, but advisers. Everybody has to be yes-men, and of course all of them are men, around him. He subordinated all the princes, he ended all the factions representing different princes. So previously, no matter who was king, Jamal Khashoggi was able to move between the princes, to have one patron one day, another patron of another day. That always worked because they were part of the senior princes’ set-up. Now, there is no set-up like that. All the other princes, even his own half-brother, is under house arrest. This guy doesn’t want to allow anybody to share government, he makes all the decisions. And in fact, we can say that was his death knell. Maybe this is why this is going to change the course of his history. I mean, he will most likely stay in power, but I would argue that his best days are behind him. He will never be as powerful as he has been for the last two years, because now he knows he cannot trust his own instincts. When he ruled entirely based on his instincts, he presumably made the decision to get rid of this guy. He did not think the repercussions were going to be big enough. And I still argue he’s going to get away with it, and there’s not going to be a price to pay by Western countries, by Turkey or by the United States. I feel they are working on a cover-up story as we speak. But because he had no advisers, he made these decisions. And he is not somebody who is knowledgeable about the world. He does not know about foreign policy as much, and he calculated wrongly. And he is now in very awkward, embarrassing positions, and for that, he will be weaker than ever. And most likely, he will be compelled to bring in other princes, not to share power but at least to be around him when he contemplates making decisions. SHARMINI PERIES: All right, As’ad. In your opinion, why is the Western media whitewashing Jamal Khashoggi in this way? Are they simply just not aware because they’re not reading Arabic, or is there something else at hand here? AS’AD ABUKHALIL: That’s how Western media are. Whenever they choose a hero from among the natives, they want to make the natives to be in their own image. I mean, the best example would be the leader who is most beloved in the entire history of the Middle East in the 20th century by Western media and Western government. I’m talking about Anwar Sadat, the despot of Egypt from 1970 until his assassination in 1981. This guy was a notorious anti-Semite and a Nazi. He had Nazi background. And yet, all that was forgiven because he did the right thing when it comes to Israel. This time, they had one of their own who wrote in The Washington Post, and they took that as an offense. And I also want to add, the Saudi regime is saying that this issue is used also by media and Democrats who do not like Trump as a way to embarrass him. And I think they are not farfetched on that line. I mean, it is not that the media has suddenly discovered that, lo and behold, there is a government which kills journalists. I mean, in the last few months, the Israelis have killed journalists who are wearing, literally, signs that they were press, they work for the press, and we saw no outcry. But Jamal Khashoggi was seen as an inferior one of their own, as one of the natives who was agreeable. He never challenged their coverage of the Middle East, they liked that. They also liked that he never spoke about Palestine in the paper, never questioned assumptions about American foreign policy, and didn’t want to make it a big issue. In their conflict with the administration, was convenient. So, there is ulterior motive to what they are doing, and certainly I do not buy that the Washington Post or The New York Times, or even the U.S. Congress, suddenly have discovered to the horrors of the Saudi regime. It wasn’t about that. 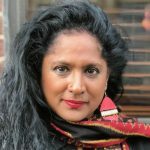 SHARMINI PERIES: As’ad, what was Jamal Khashoggi’s position on Palestine? As you said, he only articulated it in Arabic, never in the English press. And we know that at this moment, there is a conflict within Saudi Arabia in terms of how the king might respond to the Palestinian question and how the current MbS is responding to it. And also, if you could also in the process highlight what this means in terms of the Saudi-Israeli-U.S. alliance that has been formed in order to manage the situation in the Middle East? AS’AD ABUKHALIL: Well, I’ll begin with the last part of the question by saying I have no doubt that AIPAC is working very closely with the Saudi embassy in order to try to rescue the fortunes of incumbents in distress. And I’m sure AIPAC is going to clamp down in Congress to make sure that there’s not going to be legislation that would be in any way embarrassing to the Saudi royal family. I also want to say that there is no doubt that in his last year, that Jamal Khashoggi was rather duplicitous, that he spoke very different languages in Arabic and in English. He said one thing in the Washington Post, which you can’t read now, available on their website. But in Arabic, it was a different tune. In Arabic, he spoke rather very respectfully about the royal family. He spoke about he wanted the Saudi royal family to sponsor and to lead the Arab uprising, or what he called the Arab Spring. He wanted Saudi Arabia to lead it. I mean, just imagine the repercussion of that, which is exactly what happened, which is Saudi Arabia led the counter-revolution, not the revolution of the Arab world. I also want to say that on Palestine, he was very unequivocal, very categorical. He spoke about there should be no compromise on the Palestinian question. He spoke against the deal of the century that is being prepared by this administration. He even said, in an interview that I listened to the other day, and this is from this year itself, 2018, he said that he believes that Jerusalem and its significance to Muslims and Arabs does not in any way count less than the two holy sites of Saudi Arabia. He was against normalization with the state of Israel. But now, we realize that he was not consistent in his life about these matters. Because apparently, he knew and had an ongoing friendship with an Israeli reporter with whom he would speak. And to her, he said that he would like the Iranian regime to collapse, and that would benefit the state of Israel. So, he was a man of many sides. And the media and Human Rights Watch and all these Western outlets are trying to paint an image of a man who was uncompromising in search of truth, justice and almost the American Way, like Superman of the old TV serials. And in Arabic, Jamal Khashoggi always had an appeal among the Muslim Brotherhood, this was his audience. His political line was very close to that of Turkey. For that, he had a very close relationship with the Turkish government. And as we read, when he went into the consulate, he gave his fiancé the phone number of the key presidential adviser to Erdogan to call him if he is missing. And not every Arab journalist can call a close adviser of Erdogan at a moment’s notice. SHARMINI PERIES: All right, As’ad. I thank you so much for joining us and presenting and providing us the counter-narrative to what we’re hearing in the mainstream press. I’ve been speaking with As’ad AbuKhalil. He’s a professor of political science at California State University, and he’s the author of The Battle for Saudi Arabia. I thank you so much for joining us. AS’AD ABUKHALIL: Thank you very much and have a good day.